Stuck for something to make this Bank Holiday weekend? Try my gorgeous low sugar frosting to suit any and every teatime classic cake! 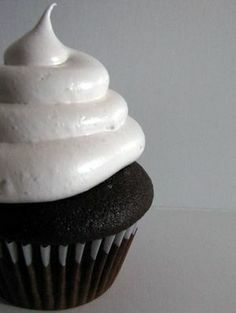 Frosting is always the best bit of the cake and it’s always a disappointment if you get a forkful of yummy cake with no frosting attached. To avoid this, I lump bucketloads of frosting onto my cakes and, whilst this might not be the healthiest thing to serve, I figure why do anything by halves? But as I become more and more focused on eating good food and maintaining a healthy lifestyle for my IBS, I thought I’d better start shaping up my homemade cake recipes. And before I could even consider the cake part of the recipe, I had to think about the most important component… the frosting. 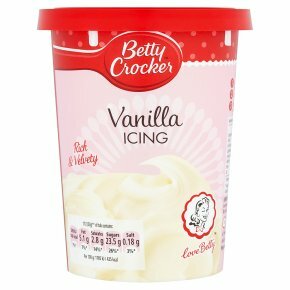 Creating a low-sugar cream cheese frosting is very difficult. Firstly, you have to combat the sourness of the cheese, which screams for sugar (no-one wants a sour-topped cake, do they?). It also needs to retain its fluffiness and stiffness to sit atop the cake, which is what the powdered sugar is used mostly for. It was also difficult to find a cream cheese that a) wasn’t super fatty and b) wasn’t termed ‘low fat’ and full of nasties like guar gum and sunflower oil. If you need the ingredients in cups, check out this easy cups to grams converter. 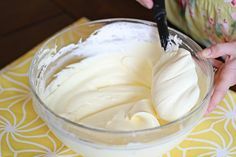 Beat the cream cheese until soft and pliable and add the yogurt. Beat these together until soft peaks are formed. Now scoop in the vanilla, honey, lemon juice and cinnamon and beat again until smooth but not runny. 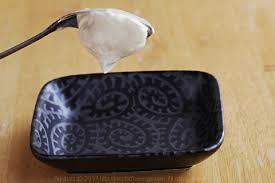 Pour into a container and chill for a few hours or until the mixture has stiffened. 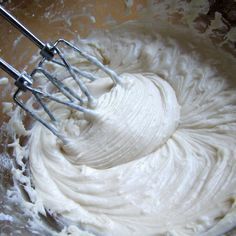 Once you can spoon the mixture and it clings to the spoon upside down, the frosting is ready for your cooled cakes. can you add food coloring?